The ceremony was discretely conducted by both families with a sizeable number of each family members in attendance. 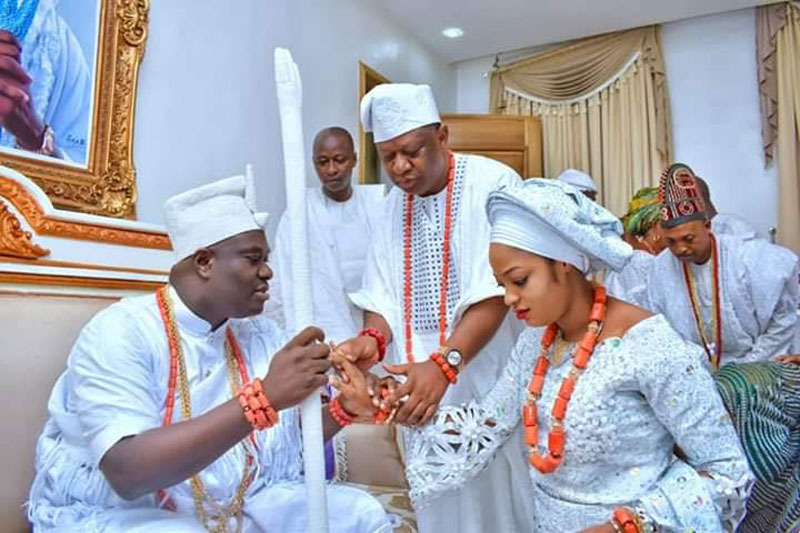 The new lfe queen was born in Akure, Ondo state capital to the family of Mr. Kehinde and Pastor Funmilayo Grace Oluwaseyi. She attended Omotola Nursery and Primary school for her elementary education before proceeding to Akure Academy for her secondary education. 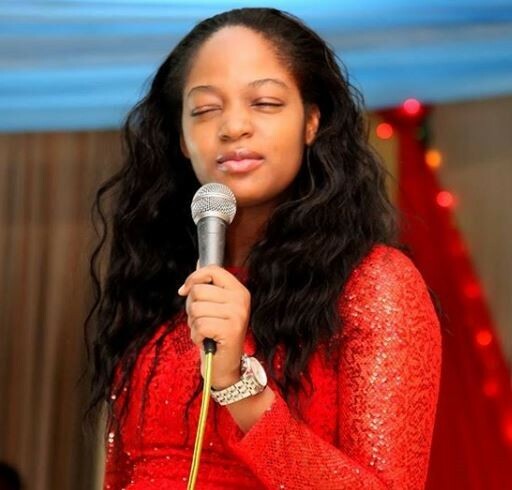 Family sources said that the new Olori, is the third born of the family and had shown her penchant for evangelism from her tender age. Olori Ogunwusi started public ministry at the age of 18 and became a full time evangelist in October 2011. The new Olori who is fondly called Prophetess/Evang. Naomi Oluwaseyi by her admirers in the state is the Founder/President of HERALDS, an interdenominational ministry based in Akure. Many are biased towards the Olori of the Ooni of Ife being an evangelist but it will be recalled that the Ooni of Ife has in the time past, on several occasions made his reference to God public. There was a time he was criticized for kneeling in church. He also made a public declaration after kneeling that there is no king greater than God. The Ooni of Ife has received both Pastor Adeboye and Pastor Kumuyi in his palace. He received words from them, including Kumuyi, telling the Ooni to ensure his place in heaven. While in Washington DC in 2016, the Ooni worshiped at the Redeemed Christian Church, Jesus House and also led praise and worship during a church service at his palace in the same year. We think Christians ought to be grateful that God is evading our traditions and establishing his dominion even at the very root of the culture for bring devotees into the palace rather than throw accusations and criticisms!